“The Bakugan Battle Brawlers” Who’s your favorite hero? Daniel "Dan" Kuso - In japanese known as Danma "Dan" Kūsō. He created the rules in bakugan and aims to be the top battle brawler. Shun Kazami - In Japanese known as Kazami Shun. A 13 yr old who ranked 1st in Bakugan battle brawler. The master of Bakugan and co-created the rules with Dan. Choji "Marucho" Marukura - Japanese name is Marukura Choji. He loves playing bakugan so much and always interested to create special strategies than just using brute force. Runo Misaki - In Japanese called Misaki Runo. a 12 yr old tomboy. She is dan's girlfriend in season 1 who has a great passion in playing bakugan and always looking for a big challenge playing with the skilled players to show off. Alice Gehabich - In Japanese known as Arisu Gehabicchi. She is an expert in playing bakugan but rarely plays it. She is possessed by Masquerade that made her hair rise up and turned into blonde but this also turned her into a male character. Jacob "Jake" Vallory - A friend of Dan who is considered big for his age. He is a Subtera Brawler partner of Coredom. Joseph "Joe" Brown - In Japanese, Osamu Jo. And he is also known as Webmaster Joe in japan. 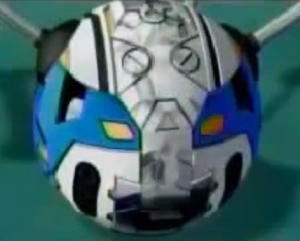 In the first season he was hospitalized because of his health condition that brawlers thought he was under Masquerade. Gunz Lazar - A blonde hair with gray and red lining jumpsuit new member of the Battle Brawlers in Arc 2 of Mechtanium Surge. In this episode no brawls ever took place. 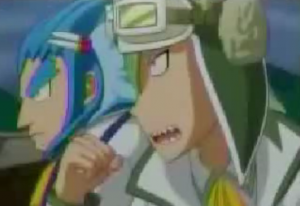 Instead, our three friends went to Grif Training facility to help out the Grif Brothers in fixing their bakugan which was destroyed during their last fight with Zakuro. 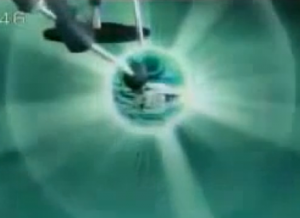 Sho and Kho Grif tried to create a virtual bakugan inside the facility to enhance the skills of their bakugan. But to their dismay they failed. 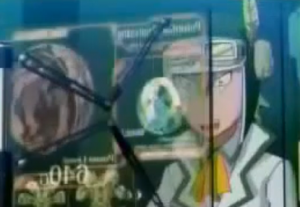 With the help of Harubaru, Raichi and Tatsuma one by one they took turn to shoot at a digital target while a machine BakuThron DX collects the data of energy being used to help in the repairing of the Grif Brothers’ bakugan. 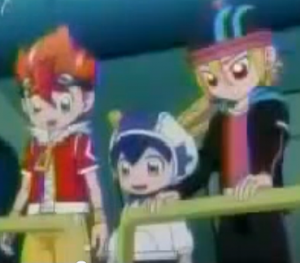 After a series of test Sho and Kho’s bakugan were fixed. Let’s find out on the next episode when the two Grif brawl each other. The long wait is over to defeat your opponent. Be the first to get the Bakugan BakuBlaster to have a bigger chance of winning the battle. 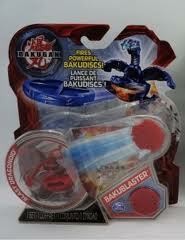 Bakugan BakuBlaster is out now in the market. You can have Bakublaster package with 1 Gate card and 1 Ability card. You can have this at $5.99 as suggested retail price. Or get the best deal with 2 Projectile Discs, 1 Metal Gate Card and 1 Ability Card. This is for kids from ages 5 and up. 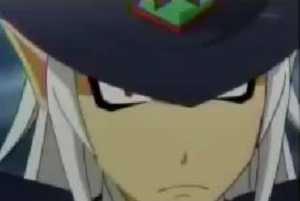 In this episode we will see the true face of the shadow man who ruined the Bakugan Dojo. Zakuro showed off his power for everyone to see how much he can inflict K.O. to those who challenge him. Our two Grif Brothers took each turn to fight Zakuro but they failed to do so. 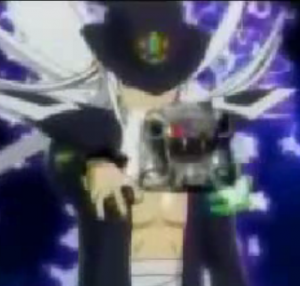 Zakuro uses his pinky finger when is shooting his two guardian bakutech namely Dio Sivac and Bone Skuls. His reason of coming to the Bakugan Dojo is because of the Sechs Tavanel. Master Jyou felt how dangerous Zakuro is more than they’ve seen. Zakuro declared himself the winner as he inflicted two critical K.O. to each of the Grif Brothers. And in the end Van Falco and Kilan Leoness we’re totally damaged. Review the other episodes of our favorite Bakugan Heroes at Bakugan BakuTech Manga TV Shows.